Born and raised, I have lived in the Des Moines and surrounding suburbs for over 35 years. As a native of Des Moines, I understand the different neighborhoods and their many curb appeals. I have a degree from Indiana State University in Business Management, holding various positions with Enterprise Rent-a-car, Hertz Corporation and AAA Insurance / Travel. My expertise in customer service with all 3 national companies transcends into insuring that my customers are completely satisfied with the sale of their home and the purchase of their future home. As a real estate professional I routinely follow up diligently through out the real estate process, creating a seamless interaction for all my clients. My knowledge of the Des Moines and surrounding markets will save you time and money in searching for your dream home. Searching for a new home or selling your current home can be a process, which is where I can help you. I love to work with the general public and I genuinely love making peoples dreams a reality. There will be no questions you have that will go unanswered. I am ready, willing and able to help you and I look forward to working with you to make the home buying and selling process an enjoyable experience. 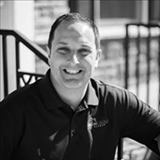 Please check out my website at http://jeff.gillumgrouprealestate.com/, emailing me at JeffHorner@Gillum-Group.com, texting and or calling me at 515-619-8592 for any home buying or selling needs.